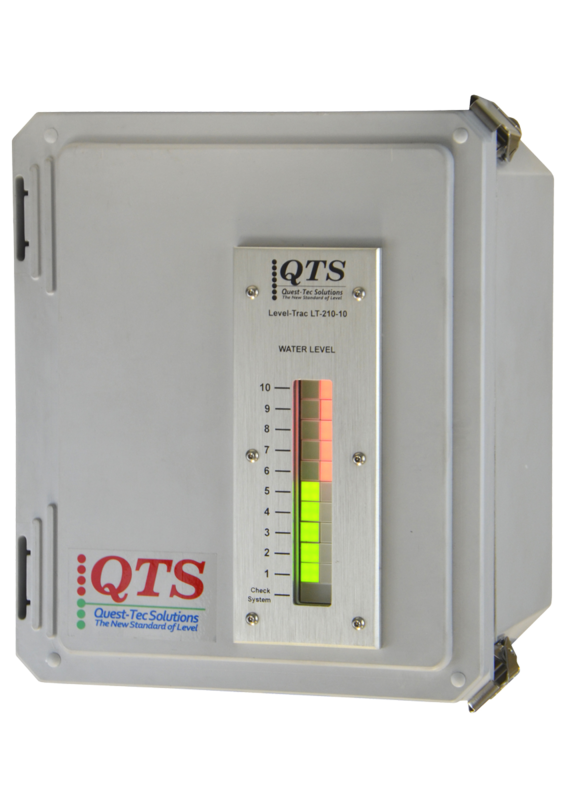 The Level-Trac Model LT-210 Electronic Control Unit is a component of a remote level indication system, as described in ASME Section I, PG-60. The control unit may also be used as an alarm or trip device. Discrimination between water and steam is based on the significant difference in resistivity between the two states over the saturation range. 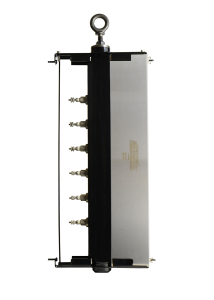 The control unit interprets and displays the signal from up to 12 probes mounted in a probe manifold. Via voltage applied to the probe tip, conduction in the presence of water will occur between the tip and the inside wall of the column. 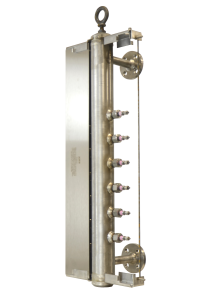 Typically, probes are spaced horizontally in a manifold attached to the steam drum, with each probe connected to its own sensing and water/steam indication circuit. 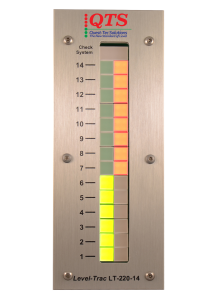 A vertical display of Green/Red indicators provides a simulation of water level in the steam drum. 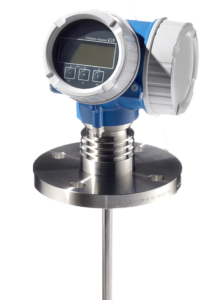 Spacing between probes is per customer requirements to cover the visible range and alarm or trip points. One or two wire connection to the Probe depending on whether the probe is normally immersed in water or steam.